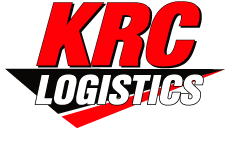 KRC Logistics utilizes the web to provide its customers with the ability to view information about their products and/or deliveries. This is a quick and convenient way to see the current status of freight or goods. Our LTL tracking module allows customers to see delivery orders that exist in KRC's system. All the important information about an order can be seen, including appointment and delivery dates and times. After your orders are delivered, the delivery documents along with the receiver’s signature are scanned into our system and are available for viewing and printing. Our warehousing module gives customers the ability to see a "real-time" status of their products in our warehouse facilities. Item detail, receipt and shipments status, along with inventory status can be viewed at anytime. We also offer several customizable reports that can be generated and printed within the interface.